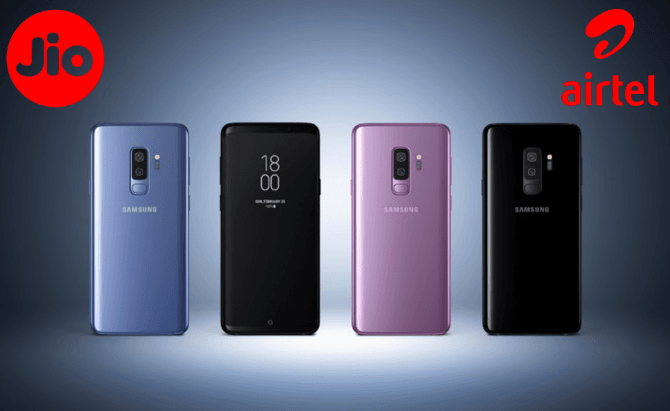 The entry of possibly the most awaited flagship phones of the year – the Samsung Galaxy S9 and the Galaxy S9+ is making telecom companies crowd around the device to offer very appealing cashbacks and offers. Major players like Airtel and Reliance Jio have rolled out their own respective cashback offers which provide not only cashback but also data and other benefits. The most popular offers have been rolled out by Airtel and Jio, and we write this piece as a comparison between the two to let our readers know, which one is the best deal for their money. Existing Jio customers who are looking for a chance to get their hands on the latest Samsung Galaxy S9 will be the most to benefit from this plan as Jio offers a ‘buyback’ plan with the purchase of the device and also a huge amount of 1TB data with its usual unlimited calling for Rs 4,999. This plan normally would cost the customer Rs 15,000. Also, to spice things up, Jio hasn’t put any daily data cap on the usage which means we can use data without worries throughout the day. Like we said above, this offer is accompanied by the buyback and the cashback offer. The cashback offers on the Galaxy S9, and S9+ are worth Rs 6,000 instantly, and we get to take the benefits when we buy the phone from Reliance stores like Reliance Digital, Jio Stores, and jio.com. Under the scheme of buyback offer, customers get a whopping buyback of 70% of their total phone price under the condition that they do a total recharge adding up to Rs 2,500 in the given 12-month period. Buyers of the Samsung Galaxy S9+ can return the phone before June 15, 2019, to redeem their buyback and this offer has already started on March 16, 2018. Do make a note that the buyback offer is applicable only for the Samsung Galaxy S9+ 256GB variant, while the Rs 4,999 plan is for all the Galaxy S9 and S9+ variants. Airtel is also on the front foot and has rolled out its lucrative offer which might be intensively appealing to some buyers interested in the Samsung Galaxy S9, Galaxy S9+ and the Samsung Galaxy S9 (256GB). Airtel takes a little different route than compared to what Jio offers by giving a down payment and EMI option on the phone in Airtel stores along with providing 80GB data per month for the customers. For the Samsung Galaxy S9 which comes with 64GB of internal memory, we can buy the phone with a Rs 10,000 down payment followed by a monthly EMI plan of Rs 2,499 for the next 24 months. Under this offer Airtel gives us 80GB data per month, along with one year of Amazon Prime Video subscription, free unlimited calling and free handset protection. On the same lines, Airtel offers quite a resembling plan for Galaxy S9+ where the down payment remains the same at Rs 10,000, but the EMI gets increased to Rs 2,799 for the next 24 months. This plan also includes the add-ons like Prime Video subscription, free unlimited calling, handset protection and also the 80GB per month data plan. This plan is also extended to the Samsung Galaxy S9 with 256GB internal storage which can be bought with a down payment of Rs. 17,900 and with a 24-month EMI of Rs 2,499. Like the previous offer this plan also includes the add-ons involving Amazon Prime Video subscription, Handset protection, 80GB data per month and unlimited calling. 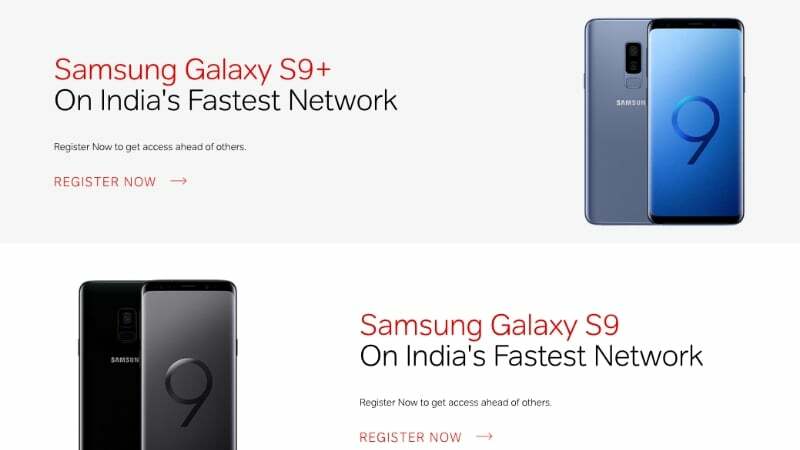 Although the Airtel plans look very appealing since they provide the EMI and down payment option which the Indians love, but it’s worthwhile noting that the actual costs of the Samsung Galaxy S9, Galaxy S9+ and the Galaxy S9 (256GB) are Rs 57,900, Rs 64,900 and Rs 65,900 respectively. After making a detailed analysis of both the plans, we can easily come to conclusion that the Jio plans is far more economic and beneficial than the Airtel offer since in the Airtel offer people will actually end up paying more money for the device, whereas Jio offers its users with a sure shot buyback program which pays us 70% of our purchase amount back. However, one drawback which the Jio cashback offer presents is the fact that buyers will have to pay the entire price of the phone upfront which makes this very unfeasible for the budget buyers. Also, in the end, if users are looking to avail the buyback offer, they have to return the device with everything that comes at the time of the purchase- complete box, purchase bill and so on. The Airtel plan focuses on making the otherwise expensive phone feasible to buy for the budget minded. And the leading telecom operator’s Rs 2,499 monthly plan seems to be on the higher side, but it offers decent benefits though. I don’t understand how is this 1 TB deal for Rs 4999 attractive? Rs 400 X 4 quarters = 1600/year gives 730 GB. Double that, Rs 3200 gives almost 1.5 TB. Also, one more confusion, this pack isn’t compulsory for buyback customers… Right? No daily limit is a huge thing. And no, this isn’t compulsory. If you can get good resale value after two years then yes.. Airtel is good. Otherwise, Jio is clearly better because flagship buyers are enthusiasts and they like to have cutting edge stuff every year. 30% of 70k (approx) = 21k per year for always having a cutting edge flagship considering that Jio will offer this type of buyback every year) is one hell of a deal. Not to mention, no stress of reselling it myself.